This is the time of the year when organizations receive the biggest part of their donations from their sympathizers and supporters. It’s the time when we all can help them to further our common goals. I’ve written before about the importance of money, and the importance of organizations. Campaigning for animals – or for any other cause – can be done at a grassroots or volunteer level, and that’s awesome. But we also need bigger organizations to make a difference. They need to pay their staff; they rely on the work of experts; they need to finance advertisements to get the word out, etc. The more money they have, the better. Many people are cynical about donating, believing (or often using as an excuse) that their money won’t actually be used for anything good, but will get stuck along the way and just pay overhead, or pay for bloated organizations. There is undoubtedly some loss, and there are inefficient organizations out there, but there also many great ones, where people work their asses off to make a difference, and where the leaders think strategically, in terms of generating as much impact as possible. 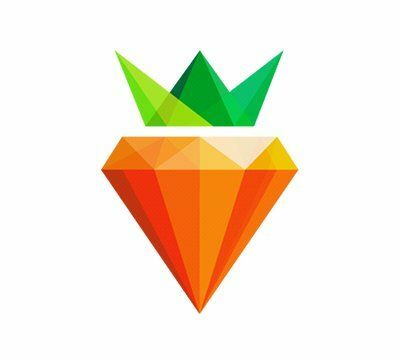 Effective Altruism, a young movement and philosophy, is about identifying the best causes, organizations and interventions, and donating to (or volunteering or working for) these. Within the Effective Altruism movement, there are meta-organizations (see below) that do research about who and what works best. The recommendations these meta-organizations come up with are our best leads for making effective, life-changing donations. Comparing good causes and organizations should not be a taboo. When we buy a computer, we make an investment in something that we expect works. The same goes for our donations: we want to make good investments. Indeed, if there is any domain where we should insist on great return on investment, it’s the domain of decreasing suffering and saving lives. when choosing a cause, look at the amount of victims and at the intensity of their suffering. Malaria, for instance, kills more people than rare neurological diseases. And some problems are more horrible than others. give to organizations working for or in poorer countries, where your money can have a lot more impact because costs are lower there. look up the advice from experts who’ve done the research for you. Organizations that recommend charities to give to are Givewell, The Life you Can Save, and – for animal causes – Animal Charity Evaluators. From an Effective Altruism viewpoint, farmed animals are a great cause to give to. Not only are there a huge number of farmed animals who are suffering immensely, but also this cause is very neglected. Of all the money from US donations, only 1.5 percent goes to animals, and of that tiny bit, only 1 percent goes to farmed animals. 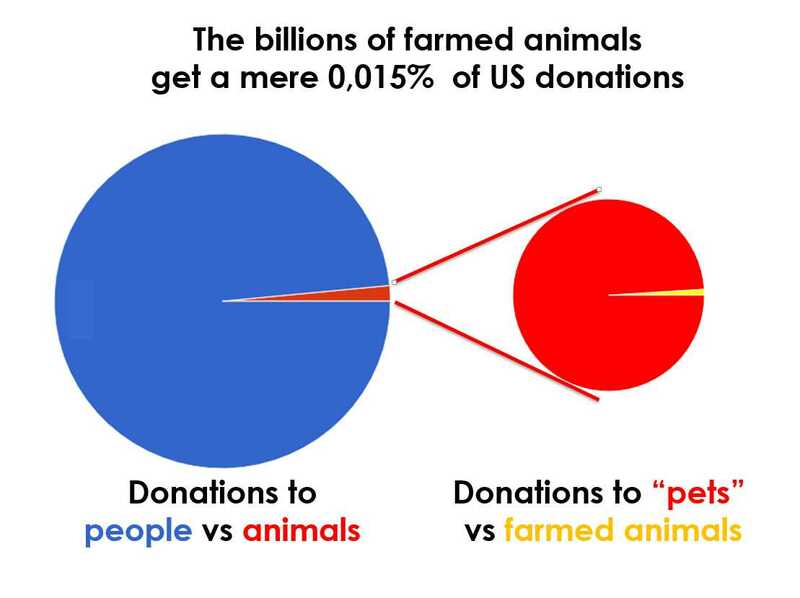 So, farmed animals get 0,015% of donations in the US. Lastly, when you give, let it be known. We put a lot of stuff on our Facebook walls that may be giving people a laugh, but we’re often shy about sharing our good deeds, because we think that’s not done. But people take their cues for what is good behavior from other people. When they see many people around them who donate, they will be more inclined to donate themselves. Conversely, when they don’t see that behavior, they will think it’s fine not to donate. So, when you donate, tell other people about it, to help normalize giving. To set an example, I yearly give away ten percent of my income, which amounts to 2500 euro. This year, I gave, among others, to Give Directly and The Good Food Institute. I just posted that on Facebook. It’s a bit hard, because you open yourself up to the criticism that you want to show how good you are. But as you understand, it’s not about that. Maybe you don’t have any money to donate, and you do volunteer work. That’s great. And, maybe you don’t have time, but you do have some money. That’s great too, because with your money, you’re paying for other people to invest time in making the world a better place. Thanks for whatever you do, and happy holidays! At the Animal Rights conference in early July in Los Angeles, one of the keynote speakers was the legendary PETA founder Ingrid Newkirk. 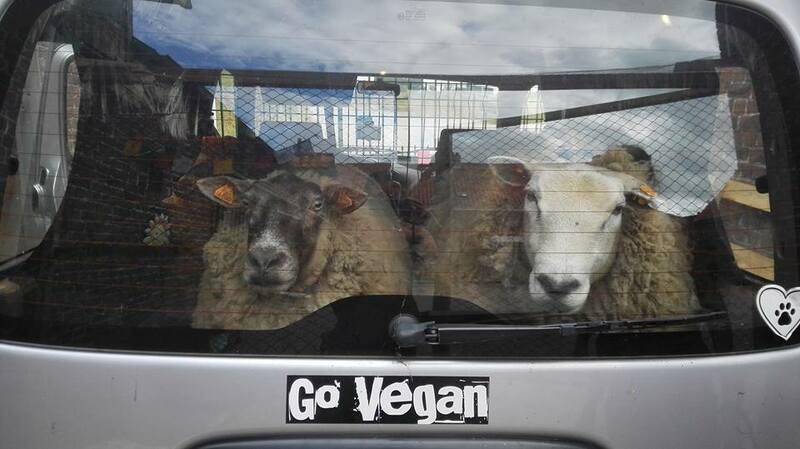 Ingrid and PETA are controversial for many animal rights activists and vegans. I understand some of the criticism, but usually I defend PETA against all too cheap attacks. I also respect Ingrid for her achievements. Being in a leadership position in the animal rights movement, (as a woman, moreover), for such a long time is actually an achievement in itself. Still, some of the things she said during her speech at the conference made me frown. Ingrid was clearly having an issue with people emphasizing effectiveness. Effectiveness isn’t hard to understand: when you’re effective, you are good at getting the results you are aiming for. Effectiveness in itself shouldn’t be controversial. If we invest a lot of efforts into helping animals, (no matter if you define the latter in terms of reducing suffering, cruelty, or killing), because we care about them, we want these efforts to be effective. We want them to actually make a difference. When you want to be effective, you probably will want to figure out where you can help the most, where you have the biggest effect (or let’s at least say: “a big effect”). This is particularly important in light of our limited resources. Even though our movement seems to get more and more funds, we still obviously can’t do everything we want, and we need to make choices. A sensible strategic choice is to spend our time and money in places where we can have the biggest impact. 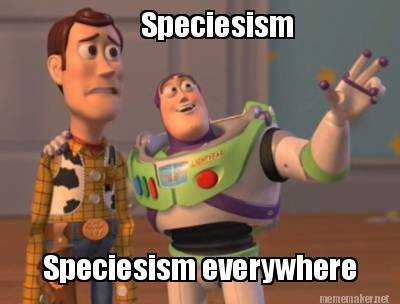 This may be a factor of the return on investment (how many animals can I affect for how much money), the intensity of suffering, the number of beings suffering, or the difference we can make because no one else is doing it — to name a few important selection criteria. Looking at it this way, within the animal rights movement, a focus on farmed animals makes a lot of sense: there is less money to help them than there is for more popular causes, like companion animals, wild animals, etc. Of all the animals we torture and kill, ninety nine percent are killed for food purposes. And their suffering in general is probably among the worst human-caused suffering in the animal world. So if we can change something for farm animals, like legislation, attitudes, alternatives… we are changing things for a big group of animals. In her speech, if I heard her correctly, Ingrid Newkirk seemed to somehow disagree with this line of reasoning. She said she had been asked to talk about farmed animals, but indicated that she actually didn’t want to do that. Her slideshow was mostly about animals other than farmed animals — like individual circus or companion animals. She stated that, if PETA would have listened to the people who are into effectiveness, these animals would not have been saved. The argument made by Ingrid and many others against effectiveness-seekers, is that animals are individuals and that we can not make calculations with them or just look at numbers. However, when those of us who cherish effectiveness go after the big numbers, they do that exactly because animals are feeling, sentient individuals. When we talk about helping or prioritizing the sixty billion chickens in the world, this may sound like a statistic, but we are fully aware that we are talking about a collection of individuals. And if we value individuals, would a big group of such suffering individuals not be a higher priority than a smaller group? The more individuals we can help, the better, no? With limited resources, there is always what we call an “opportunity cost“: when we are doing one thing, we can’t do another. I’m sure that there are some valid points to be made regarding prioritizing effectiveness. I’m sure some people might take it too far. There is the possibility that they could let the end justify spurious means. Or some of them may even be lacking in empathy. Effectiveness-oriented people would do well to be aware of these risks. Nevertheless, it’s hard to argue with a desire, a striving for effectiveness. And it’s not as if all of a sudden, our whole movement has become effective. There is still a long way to go, and I think Ingrid’s criticism definitely didn’t come at the right time. Effectiveness might be a dirty word in health care and in other domains, but it shouldn’t be one in our movement. No one is saying that the primate in the cage or the dog on the chain shouldn’t be helped. If some of us, however, would suggest prioritizing other beings, it’s not because we don’t care about those individuals. It’s because we care so much about suffering that we prefer to focus on where we can help the most of them.